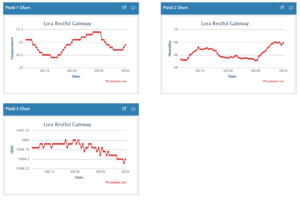 Above is the sensor client end of the system. 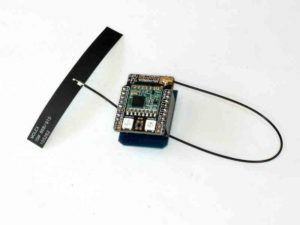 The prototype sensor is a BME280 digital temperature, humidity and pressure sensor connected by I2C to a 3.3V 8MHz Arduino Pro Mini which drives a inair9b SX1276 based LoRa wireless module. The payload is binary coded for efficiency of the radio link. 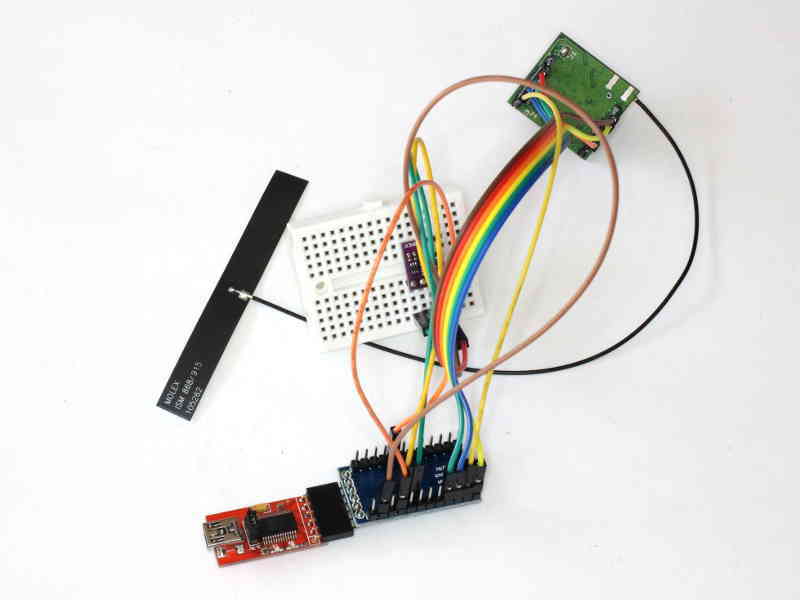 The LoRa – RESTful gateway above is implemented using a Wemos D1 mini ESP8266 module (on the underside of the stack) and a Hallard RF95 LoRa shield to suit. The ESP8266 connects to the Internet by WiFi and submits sensor data by REST to Thingspeak. 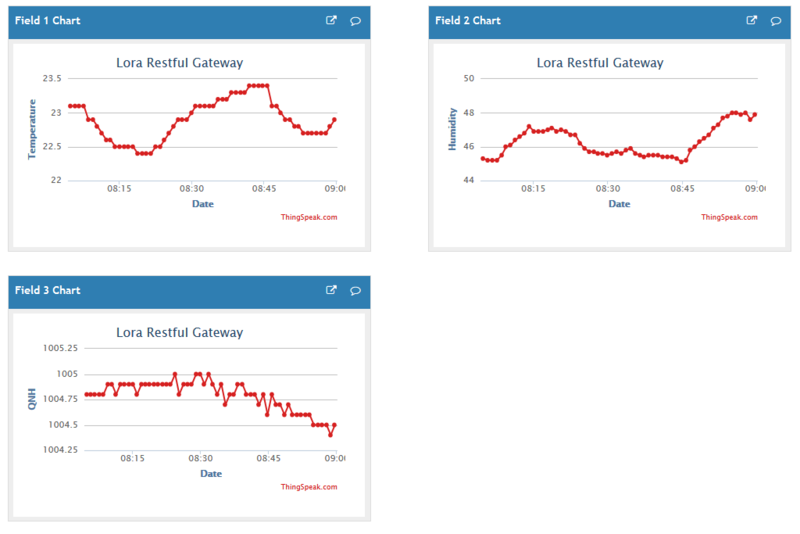 Above is a screenshot of the three measurement channels from Thingspeak. Neither of the LoRa modules used TCXOs, so their frequency stability was not good enough for evaluation of low rate / long distance modulation types. A couple of RF95TW modules with better stability are on a slow boat from China.